Hot cross bun flavours like 'banana and caramel' are all Millennials' fault. 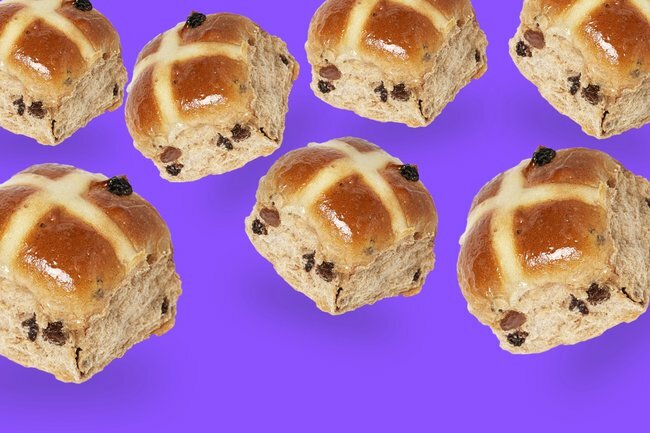 There are now dozens of hot cross bun flavours and we've got no one to blame but ourselves. Easter is almost upon us and hot cross buns are having their moment. Only this year, they’re barely recognisable. So far we’ve seen fruitless buns, mini buns, chocolate and apple cinnamon flavoured ones. Then came even fancier flavours: white chocolate and raspberry, banana and caramel, even… sticky date and butterscotch. They aren’t… hot cross buns anymore, are they? They’re just cakes with crosses on them. Trouble is though, if you were born between 1981 and 1996, you’ve got no one to blame but yourselves. Yep. According to Coles, it’s all millennials’ faults. Speaking of food…have you checked out our latest First Date? Post continues after video. 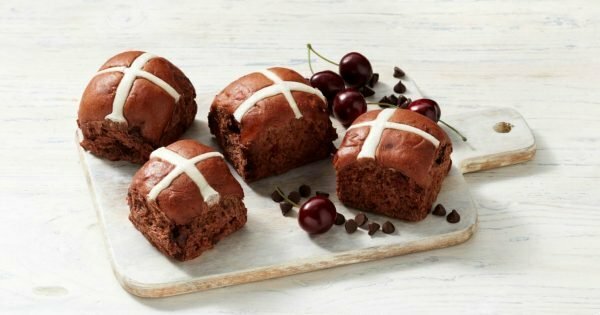 “The introduction of new flavours to Coles Hot Cross Bun range is largely inspired by millennials who love traditional products that have a modern-day twist, but maintain that nostalgic pull,” they told Mamamia in a statement. “We have had Apple and Cinnamon Hot Cross Buns in our range for years and this year decided to extend the non-traditional offering this year to give our customers a little extra enjoyment,” the statement continued. These apparently taste like Black Forest Cake....Image: Coles. Coles explains that their new range profile popular and nostalgic desserts like Sticky Date Pudding with butterscotch sauce, and Black Forest Cake. "We even have Kirsch in the Belgian Choc Cherry Hot Cross Buns to hit that profile perfectly," Coles said. Traditionalists are having none of it, with some even saying that fancy varieties should not be called &apos;hot cross buns&apos;. "I&apos;m very protective of the hot cross bun," author and baker Phillippa Grogan told Good Food. "I like the idea of bakers doing something creative and developing something new and different, but they should be called Easter buns and not hot cross buns." READ MORE: Hot cross bun ice cream and what else to eat this Easter. What do you think? Are you on board with new hot cross bun flavours?